Objective~Seeking illustration projects from professional social expression companies. Qualifications~Several years of varied and responsible experience in Illustration and Graphic Design. The ability to creatively conceptualize and efficiently execute given assignments under pressure and with deadlines. Assignments included greeting cards, stationery, gift-wrap, and party goods. Artistic stylings included decorative and realistic painting, process, cut/torn paper, and fabric. Assisted in establishing the first design studio in the United States for Sanrio, a Japanese gift company. Projects included creating and supervising non-character graphic designs and patterns. 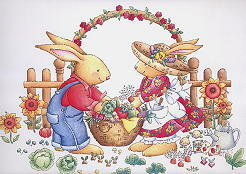 These designs were applied to various gift items and paper products. Established own studio. Projects have included greeting cards, stationery, calendars, gift wrap, party goods, gift boxes and bags, mugs, gift tins, and Christmas ornaments.